Chipmaker AMD has used MWC 2014 to announce the retail availability of a new BlueStacks dual-OS based around Android and Windows that is optimised for AMD APUs. The move means that it will be possible to run Android apps within Windows as an executable file - as opposed to a dual-boot option - on AMD-based tablets, 2-in-1s, notebooks and on select PCs. The BlueStacks system will first be made available with several key retail partners across EMEA later this year. Steve Belt, corporate vice president of Product Management at AMD, said that the ability to span two OS ecosystems gives users access to both Windows and Android apps. However, he said that the key is providing for the integration of entertainment and productivity across those ecosystems. 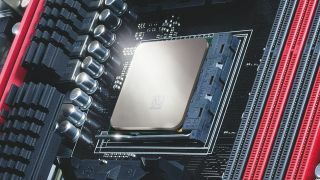 PC buyers can choose an AMD-BlueStacks upgrade when buying an AMD-based PC, effectively bridging the divide between mobile and PC with no additional driver or extension support. Users see a familiar Android user interface, including settings, configuration and customisation controls and can run Android apps within a window or at full-screen resolution. They will get access to AMD's processing power. That means support is provided for hundreds of thousands of Android apps direct from various Android app stores, as well as synchronization between the same apps being run on the user's stand-alone Android devices. There is also support for sensors like built-in cameras, accelerometer, gyroscope and others.